Meeting people and sharing stories & experiences is one of the biggest joys in life. Christopher McCandless says it in 'Into The Wild': 'Happiness only real when shared'. Well... I couldn't agree more. 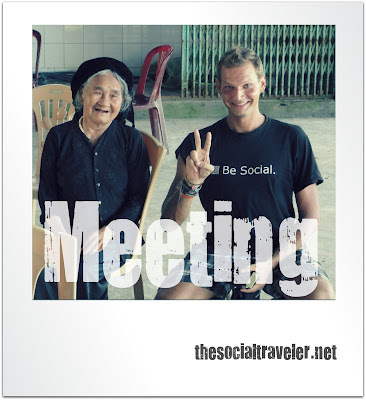 From the beginning of my social travel adventure I've been meeting people that crossed my path but also with people that follow this adventure online via social networks. Like this I bring the online connection to real life and reinforce it. It allowed me to have many great and unique experiences. Connect & meet me somewhere on my trajectory or go explore events.